Take a break from the city and head to Lincoln Park Zoo and Swallow Cliff Stairs. Get a sense of the local culture at The Art Institute of Chicago and The Magnificent Mile. Get out of town with these interesting Chicago side-trips: Bengtson's Pumpkin Farm (in Homer Glen) and Little Red Schoolhouse (in Willow Springs). And it doesn't end there: get curious at Museum of Science and Industry, appreciate the history behind Cloud Gate, explore and take pictures at Wrigley Field, and don't miss a visit to Skydeck Chicago - Willis Tower. To find where to stay, photos, traveler tips, and more tourist information, you can read our Chicago online road trip planner . New York City to Chicago is an approximately 5-hour combination of bus and flight. You can also fly; or drive. The time zone difference moving from Eastern Standard Time (EST) to Central Standard Time (CST) is minus 1 hour. Traveling from New York City in October, things will get slightly colder in Chicago: highs are around 21°C and lows about 11°C. Wrap up your sightseeing on the 30th (Wed) early enough to travel to New York City. For shopping fun, head to Fifth Avenue or Shopping Girlfriend NYC. 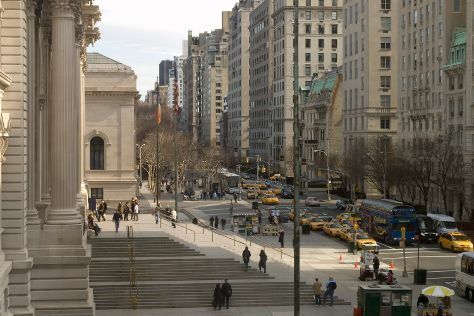 Satisfy your inner culture vulture at Times Square and American Museum of Natural History. You'll find plenty of places to visit near New York City: Bronx Zoo (in Bronx) and Ocean Grove Beach (in Ocean Grove). The adventure continues: go for a walk through Central Park, enjoy breathtaking views from Empire State Building, browse the exhibits of 9/11 Memorial, and stroll through East River Waterfront Esplanade. To see where to stay, reviews, and more tourist information, read New York City trip itinerary planning app . If you are flying in from Australia, the closest major airports are La Guardia Airport, Newark Liberty International Airport and John F Kennedy International Airport. In October, daytime highs in New York City are 24°C, while nighttime lows are 16°C. Wrap up your sightseeing on the 5th (Tue) early enough to travel to Washington DC. Take a break from the city and head to Jean Lafitte National Historical Park and Preserve and Chalmette National Historical Park. Give yourself a bit of retail therapy at Royal Street and Frenchmen Street. When in New Orleans, make a side trip to see Nature & Wildlife Tours in Slidell, approximately 50 minutes away. There's lots more to do: learn about all things military at The National WWII Museum, admire the landmark architecture of St. Louis Cathedral, get to know the fascinating history of Garden District, and work some fitness into your day at Woldenberg Park. To see ratings, where to stay, and other tourist information, you can read our New Orleans trip planner. You can do a combination of bus and flight from New York City to New Orleans in 6 hours. Alternatively, you can fly; or drive. The time zone difference moving from Eastern Standard Time to Central Standard Time is minus 1 hour. Traveling from New York City in November, New Orleans is somewhat warmer at night with lows of 19°C. Wrap up your sightseeing by early afternoon on the 9th (Sat) to allow time for travel to Los Angeles. Kids will enjoy The Getty Center and Santa Monica Mountains. Get some cultural insight at Abbot Kinney Boulevard and Montana Avenue. Venture out of the city with trips to Two Rodeo Drive (in Beverly Hills) and Third Street Promenade (in Santa Monica). Pack the 13th (Wed) with family-friendly diversions at Universal Studios Hollywood. There's lots more to do: see the sky in a new way at Griffith Observatory, take a leisurely stroll along Santa Monica Pier, browse the different shops at The Grove, and kick back and relax at Venice Beach and Boardwalk. To find ratings, more things to do, maps, and tourist information, refer to the Los Angeles trip itinerary planner . You can fly from New Orleans to Los Angeles in 7 hours. Alternatively, you can do a combination of flight and bus; or drive. The time zone difference when traveling from New Orleans to Los Angeles is minus 2 hours. Traveling from New Orleans in November, expect nights in Los Angeles to be little chillier, around 15°C, while days are a bit warmer, around 28°C. 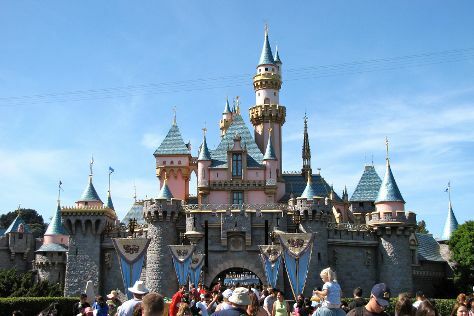 Finish your sightseeing early on the 13th (Wed) so you can take a train to Anaheim. On the 14th (Thu), find something for the whole family at Disneyland Park. To see other places to visit, where to stay, photos, and tourist information, go to the Anaheim trip planner . Anaheim is just a short distance from Los Angeles. In November, daily temperatures in Anaheim can reach 29°C, while at night they dip to 13°C. Wrap up your sightseeing by early afternoon on the 15th (Fri) to allow time for travel to Wailea. Wailea is a census-designated place (CDP) in Maui County, Hawaii, United States. For shopping fun, head to Hana Coast Gallery or The Shops at Wailea. 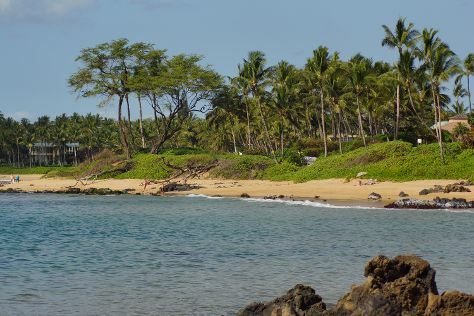 You'll get in some beach time at Wailea Beach and Ulua Beach. You'll find plenty of places to visit near Wailea: Haleakala National Park (Pipiwai Trail & Pools at Ohe'o), Charles Lindbergh's Grave (in Kipahulu) and Hana (Kahanu Garden & Red Sand Beach (Kaihalulu Beach)). And it doesn't end there: kick back and relax at Makena Beach, stroll through Keawakapu Beach, and soothe aching muscles at some of the top local wellness centers. To find other places to visit, traveler tips, maps, and tourist information, use the Wailea trip planner . Traveling by combination of bus and flight from Anaheim to Wailea takes 8.5 hours. Alternatively, you can do a combination of train and flight. The time zone difference when traveling from Anaheim to Wailea is minus 2 hours. Plan for somewhat warmer temperatures traveling from Anaheim in November, with highs in Wailea at 34°C and lows at 23°C. Cap off your sightseeing on the 19th (Tue) early enough to travel to Honolulu. Start off your visit on the 20th (Wed): contemplate the waterfront views at Hanauma Bay Nature Preserve, then admire all the interesting features of Diamond Head State Monument, and then stroll the grounds of USS Arizona Memorial. On the next day, steep yourself in history at Iolani Palace and then tour the pleasant surroundings at Waikiki Beach. To find more things to do, ratings, reviews, and other tourist information, use the Honolulu trip itinerary planning tool . Traveling by flight from Wailea to Honolulu takes 3 hours. Alternatively, you can do a combination of taxi and flight; or do a combination of car and flight. November in Honolulu sees daily highs of 34°C and lows of 26°C at night. Wrap up your sightseeing by early afternoon on the 22nd (Fri) to allow time for travel back home.